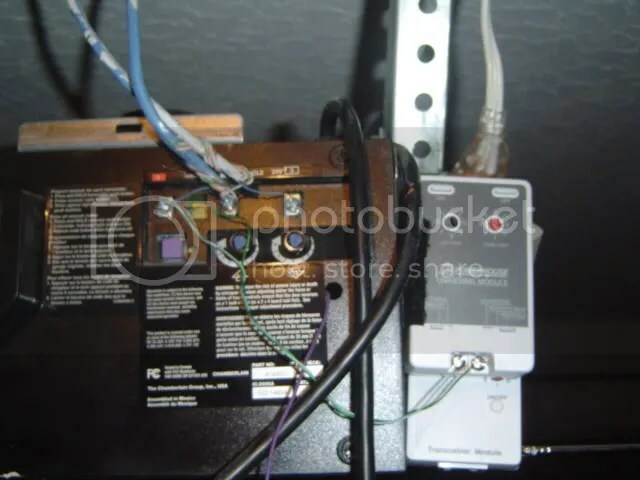 For this to work, basically what I am doing is closing two of the three connectors of my garage door opener, this is the same thing the button on the wall button does. 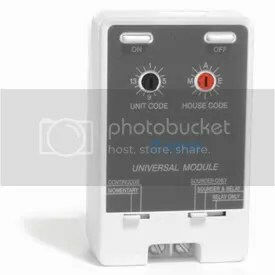 Red is the power going out, the white is the common ground and the grey or black is the motion sensor which will stop the door if the infrared device is passed. 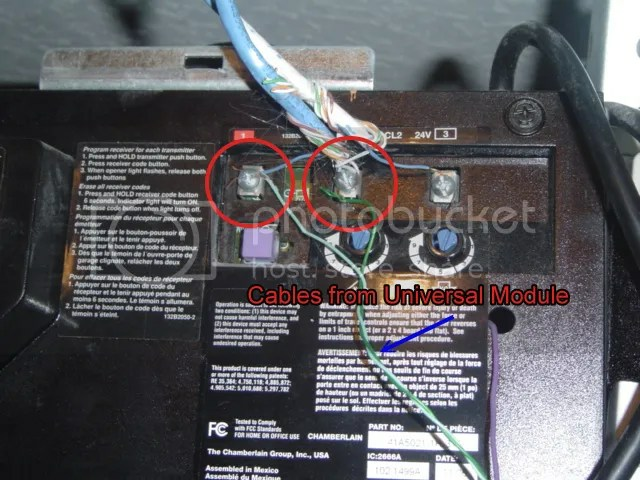 I used some simple cat 5 wiring. To simulate the button, this device will close a circuit momentary (2 seconds actually), you can even set it to sound when activated. Basically sending a X10 “ON” code it will close the circuit and open or close the garage. 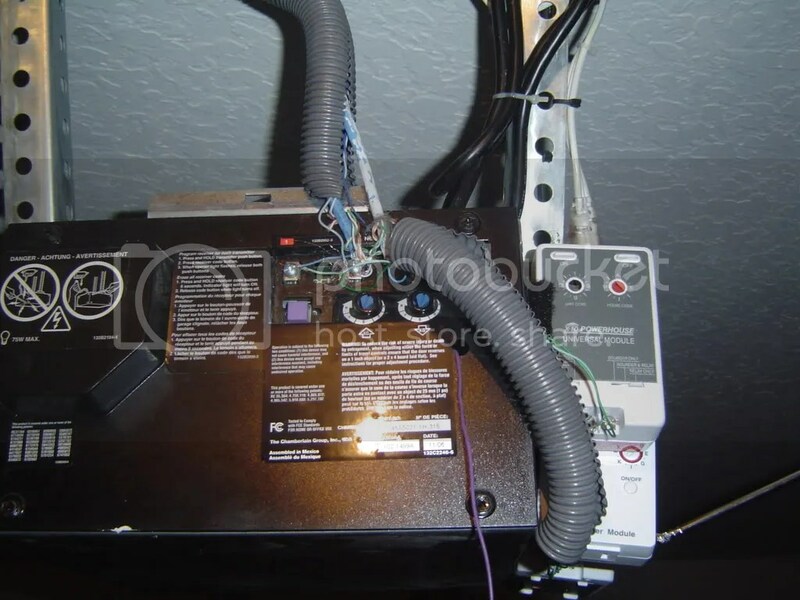 I’ll post another entry on how to check if the garage door is open or closed but we will be using another device. So thry my code using the SDM module , VB code I send the Open command (Lets say G16), The system wont give you a status if it opened it or not, also only “ON” command will work. To setup the SDM in the VB 2005 environment you need to check out my previous article. Basically here im just using the SDM COM object to send a X10 command. Here is another picture, of my attempt to make it look better.